﻿ Allied Theatre Crafts, Inc. STAGE DRAPES, CURTAIN TRACK, RIGGING, LIGHTING,& MORE! 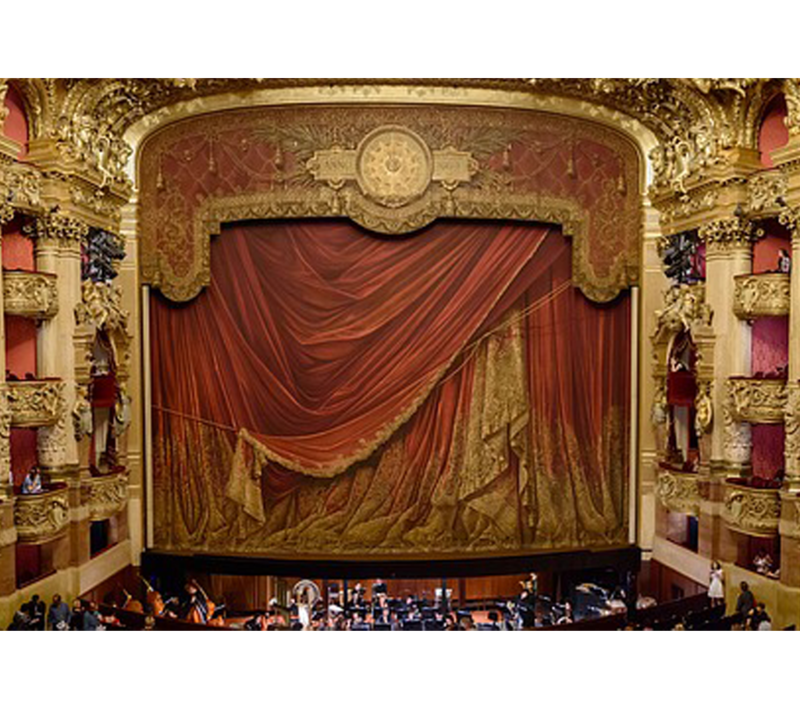 Looking for curtains for your stage or studio? We offer custom-made acoustical curtains plus the equipment to operate them easily. Allied Theatre Crafts Inc., a Missouri corporation, was founded and commenced operation on April 1, 1969. We have been in continual operation, without interruption, since that date. Allied Theatre Crafts Inc. is primarily a contractor/fabricator of acoustical curtains of all types and styles for theatrical, television studio and cinema usage, as well as an original equipment manufacturer of a custom line of draw curtain machines and specialized winch rigging. Our clients are primarily public and private schools, universities, colleges and churches, as well as select commercial theatres. The company is an authorized dealer for H&H Specialties, J.R. Clancy Inc., Strand Electric, Colortran (Dimming) and Altman Stage Lighting Company. Our curtain track inventory is in excess of 2,000 feet. Our sales territory is primarily six Midwestern states; however, depending upon the scope of a project, we will work anywhere within the continental United States. The private label television studio curtains and hardware that we produce are in use throughout most of the lower 48 states. WE MAINTAIN OUR OWN MANUFACTURING AND REPAIRING FACILITIES IN KANSAS CITY, MISSOURI.